The 2014 campaign for the Tech Girls Movement is based around the Tech Girls Are Superheroes book, the latest book in the Tech Girls series. The book profiles 26 women who have crafted amazing careers for themselves in the tech industry. They tell their story through science fiction and they are represented by a cool animated avatar. Check out the launch pics here from our photobooth! Meet the mavens! 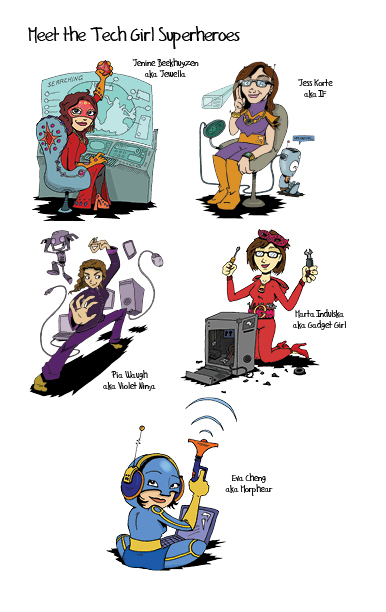 Introducing the Tech Girl Superheroes!